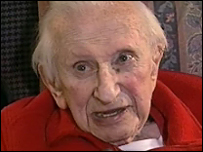 In a HARDtalk interview first broadcast on 4 February 2008, Stephen Sackur talks to the writer and broadcaster Studs Terkel. In his 95 years, Studs Terkel has done many jobs: an actor, a musician, a radio broadcaster once blacklisted during the McCarthy era. But it's his books of oral history that have earned him his reputation as the foremost chronicler of the lives, hopes and beliefs of ordinary Americans. His book Working, first published in 1974, was a detailed look at people's jobs and lives; other books have tackled race, the Great Depression and the Second World War. So why does he say he's horrified at the "forgetfulness" of America, and why does he believe it's so crucial to connect the past with the present? Stephen Sackur meets Studs Terkel at his home in Chicago and asks him whether he still feels hopeful about his country. HARDtalk is broadcast on BBC World at 04:30h GMT, 09:30h GMT, 14:30h GMT, 21:30h GMT and 23:30h GMT. Hardtalk can also be seen on BBC News 24 at 04:30h & 23:30h.